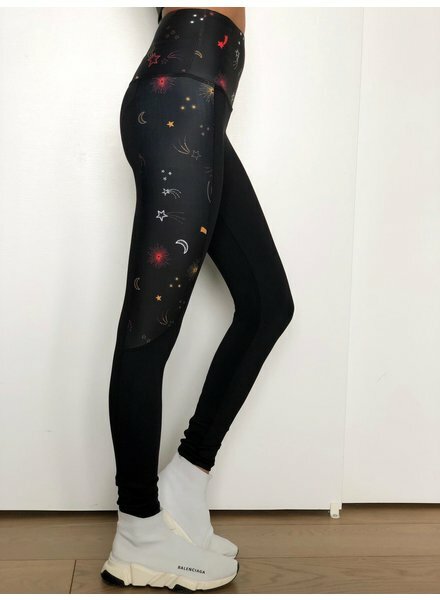 Feeling celestial? This black bra with rose gold star print will put a twinkle in your eye. Support never looked so good. The Wyatt Ankle Legging from Strut-This features a high rise waistband that holds you in with max support. This design draws the eye to your best assets! The Star ankle legging is our go-to for everything: from the yoga studio to a coffee date. The rose gold stars add a Spring vibe to the infamous legging.